2. Create 10 Content Databases – note the 1..10 that I’m piping to the ForEach-Object cmdlet. This is a great shorthand way to quickly create a number of ‘things’ in PowerShell. 3. Create 100 Site Collections – note again the use of 1..100. 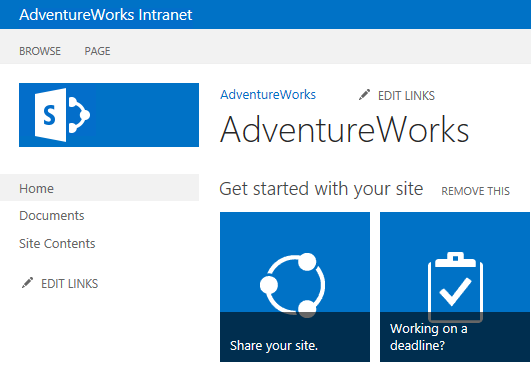 Also, these will all be team sites under the /sites managed path. I came across a fairly interesting issue in a fairly locked down Enteprise environment this week. 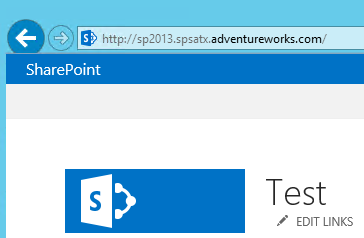 When attempting to perform an automated install of SharePoint 2013 using AutoSPInstaller (Version 3.93) we would continuously see that the accounts would be marked as Invalid during the first check in AutoSPInstaller. While this typically might reek of incorrect password or perhaps a mistyped username, in our case we knew the accounts were correct. After a lot of digging and tracing, we determined that the issue was that the accounts in question had been configured in Active Directory to only allow logon to specific machines. The actual AD property was userWorkstations. 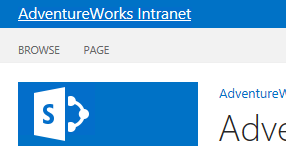 It turns out the few accounts that were succeeding did not have this property defined; however, the accounts that were failing had only been given permission to log into certain workstations, none of which were part of our new SharePoint 2013 farm. The resolution is of course to add the whole list of servers to the userWorkstations attribute in Active Directory. I won’t explicitly call out by name the individuals that helped figure this out so that their identities are protected, but to those of you who helped figure this out – thank you! Today I had a need to run all health analyzer jobs to make sure everything was good after a clean install of SharePoint 2010. Of course I knew there had to be a quick PowerShell approach to this. I did a quick search and found a few different variations of the same basic code, so I took what I liked and made it into a simple function that I will store in the profile on my SP machines going forward. By making a simple function, I can just run the function like a cmdlet – so it makes it very easy to run going forward. While Wictor’s code was great as a starter point, I thought it would be cool to tweak this a little bit by making it a reusable function and also by allowing the HTML to include a hyperlink to the root site collection in the web application. I simply took his code and modified it to make it a little more reusable, and to also allow for the hyperlink functionality. I also included a custom CSS class name on the A tag to allow for easy branding in your custom solutions. As for how it works, I’ve provided 3 parameters – 2 of which are required. The required parameters are WebAppUrl and Text; meaning you must provide the link to the web application you want to modify and you must provide the text value you want to replace the out of the box value with. Optionally, you can include a third switch parameter for SetTextAsHyperlink. By including this, you’re sipmly telling the PowerShell function to also make the text a hyperlink to the URL of the web application you are modifying. $html = "<div class='ms-core-brandingText'><a class='customSuiteLink' href='$WebAppUrl'>"+$Text+"</a></div>"
Optionally, to make the text a hyperlink – run it like so. Notice that when hovering over it’s now a link – pretty cool! One last thing I wanted to mention is that in the function above, I’m setting the class of the Anchor tag to “customSuiteLink”. This means if you’re using custom branding, you can reference this CSS class to apply different branding to the link. Thanks again to Wictor for sharing this!